Step up to true Kolinsky Sable sourced from the cold northwest region of Asia. 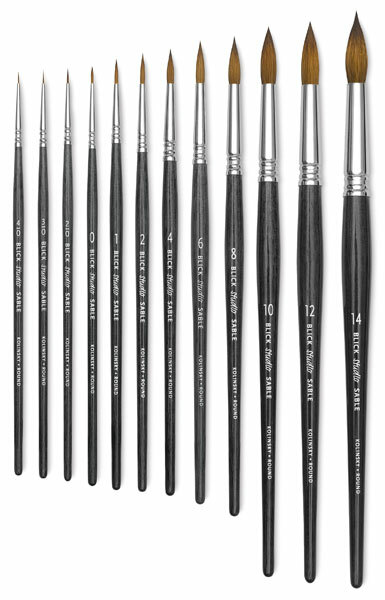 The natural snap and impressive capacity of these brushes are their hallmark. 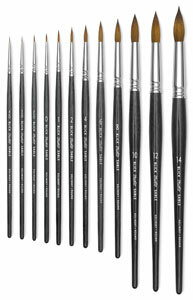 Our Studio Sable brushes are our broadest and most complete range. A pointed round brush with shorter hair and a fine point for precise, detail work.